Prominent & Leading 100% Export Oriented Unit from Ludhiana, we offer non ibr boilers, steam boiler, oil fired boiler, industrial boilers, horizontal steam boiler and water wall boilers. 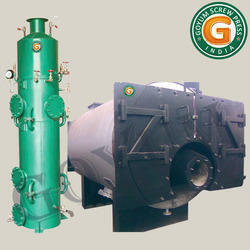 We are offering energy efficient Steam Boilers in different sizes and capacities which are easy to install and assemble. These boiling systems deliver vital contribution in the whole oil making process by providing the necessary steam needed by heating kettles to heat the oil seeds. 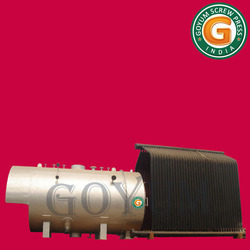 These steam boilers are available in different finish specifications with available choices including Vertical Boiler (Non IBR) in capacity of 50 Kg to 900Kg Per Hour, Horizontal Boiler (IBR) in capacity of 1 TPH - 40 TPH as well as Wood, Husk and Oil Fired boilers. 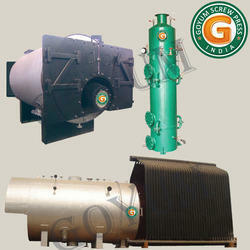 We are offering energy efficient Steam Boilers in different sizes and capacities which are easy to install and assemble. 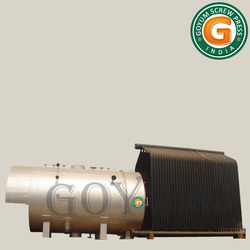 These boiling systems deliver vital contribution in the whole oil making process by providing the necessary steam needed by heating kettles to heat the oil seeds. 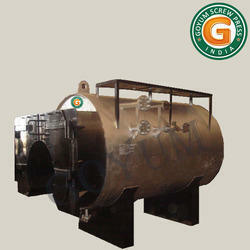 These steam boilers are available in capacity of 1 TPH - 40 TPH as well as Wood, Husk and Oil Fired boilers. 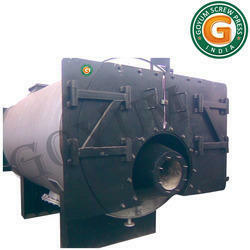 We are offering energy efficient Steam Boilers in different sizes and capacities which are easy to install and assemble. 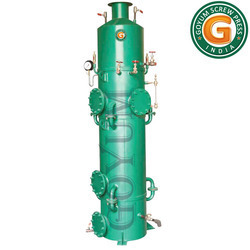 These boiling systems deliver vital contribution in the whole oil making process by providing the necessary steam needed by heating kettles to heat the oil seeds. These steam boilers are available in Horizontal Boiler (IBR) in capacity of 1 TPH - 40 TPH.